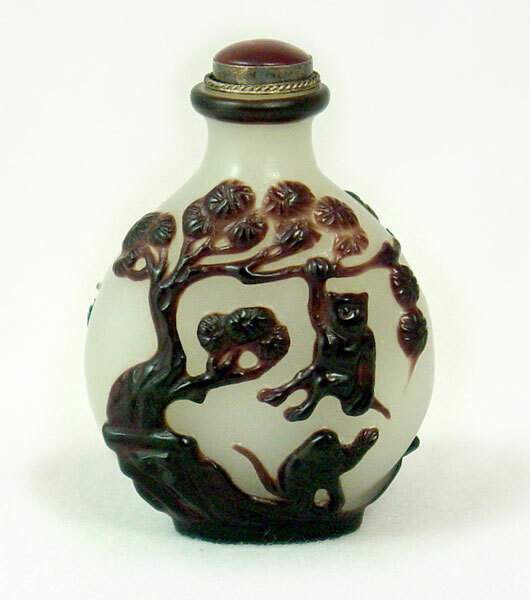 Snuff Bottle decorated with monkeys playing in a tree. Two monkeys on each panel. 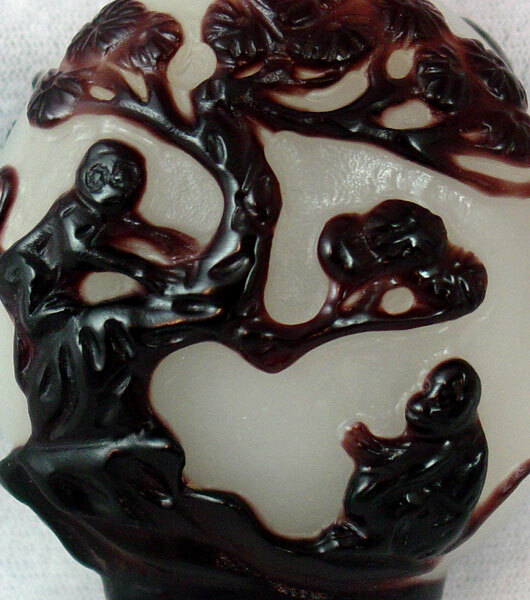 Dark chocolate color over solid white base. 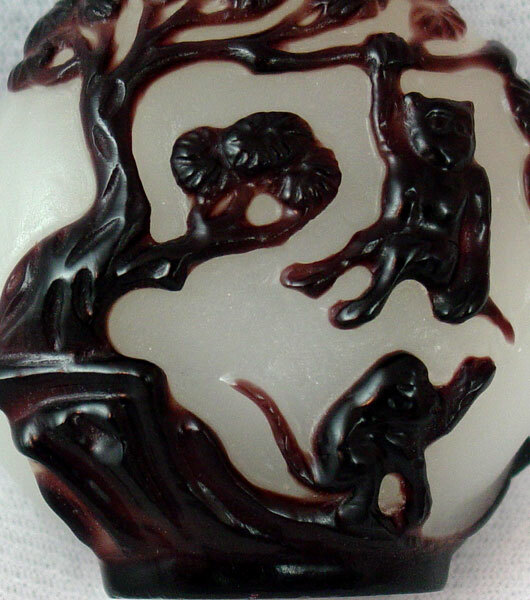 About Peking Glass Chinese Overlay Carved Glass, also known as Peking Glass (Tao Liao Ping in Chinese), is a traditional form of art that starts with a one-color glass base, dipped into contrasting colored glass one layer at a time. The artist then carves away portions of the overlaid glass to reveal layers of other colors underneath, following certain designs. It is a lengthy and tedious process that is time consuming and labor intensive. 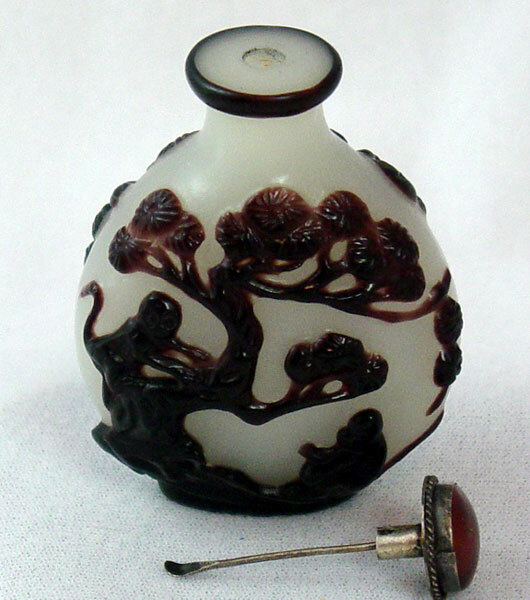 However, the result is exquisite and exotic, unlike carved glass from other countries and regions.